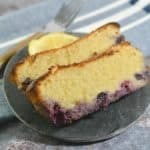 This Keto Lemon Blueberry Bread is moist and delicious and brings two of your favorite flavors together perfectly. 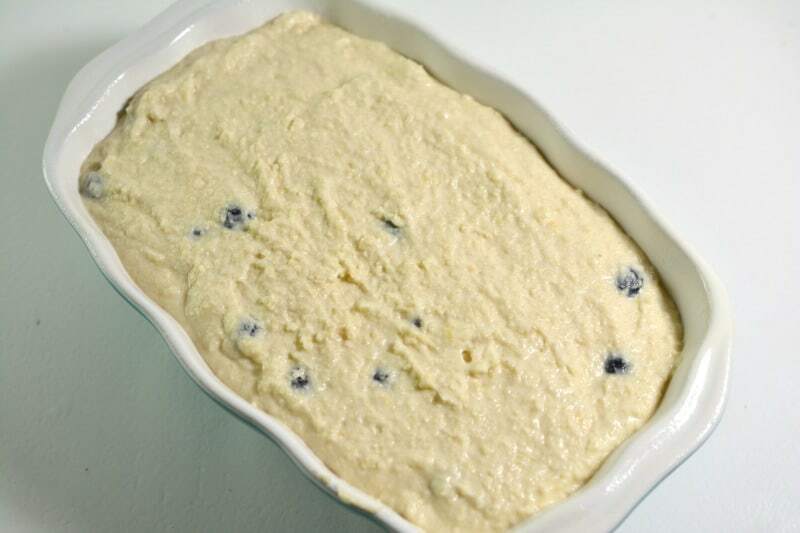 Great as a Keto Breakfast or Dessert! Ever since I found the Oh Nuts Almond Flour on Amazon I have been a little obsessed with keto baking. 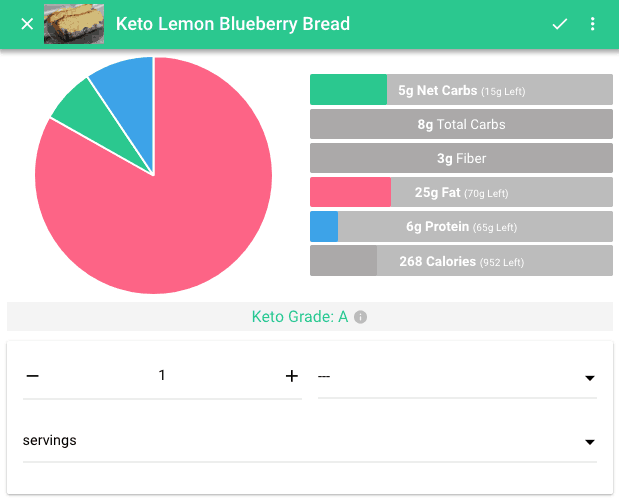 I was never a huge bread person, but I have found keto bread to be very satisfying. 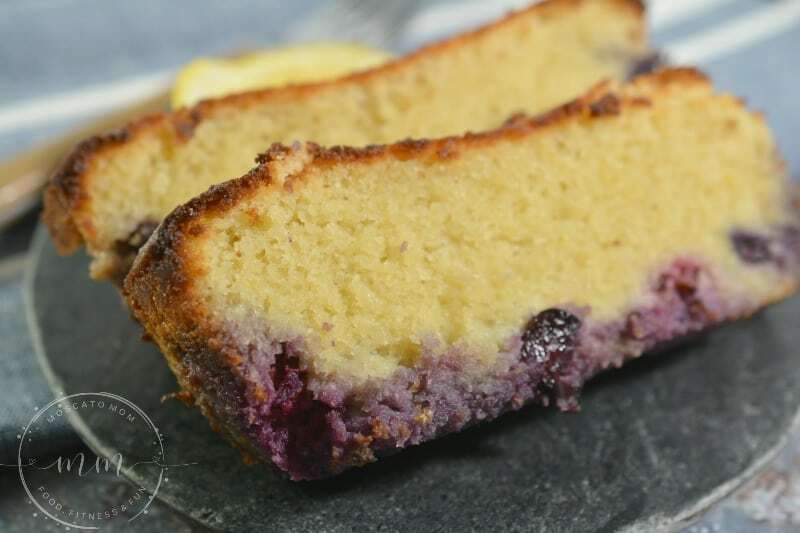 This Keto Lemon Blueberry Bread goes perfectly with my Keto Bulletproof Coffee and has been my Keto Breakfast of choice lately. My family however gobbles it up at night for a Keto Dessert. No matter what time of day you indulge, you will not miss the carbs in this keto bread at all! 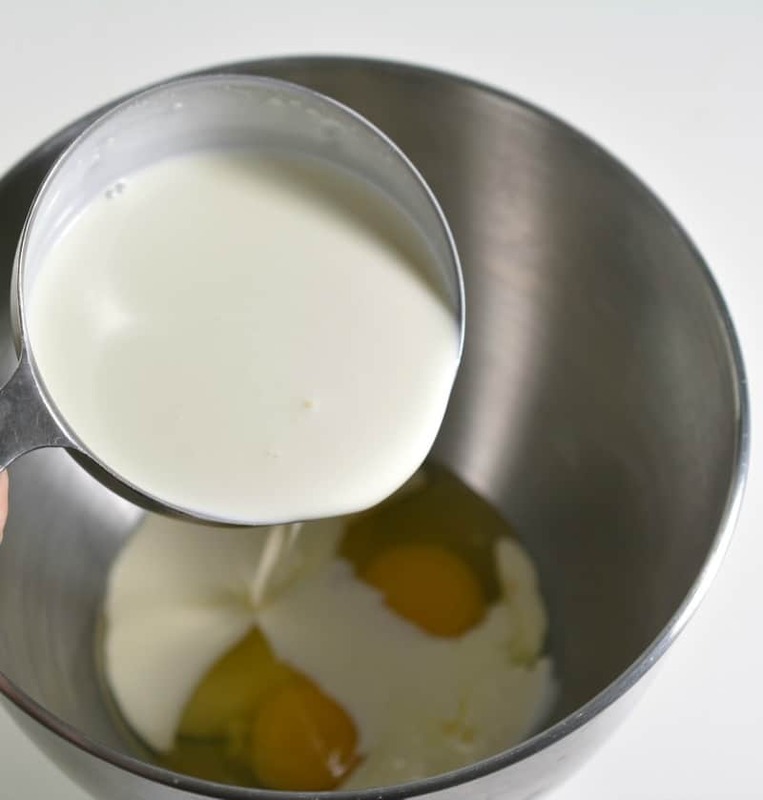 In a mixing bowl, combine the eggs, heavy whipping cream and melted butter that has been cooled a bit. Beat for several minutes until combined. 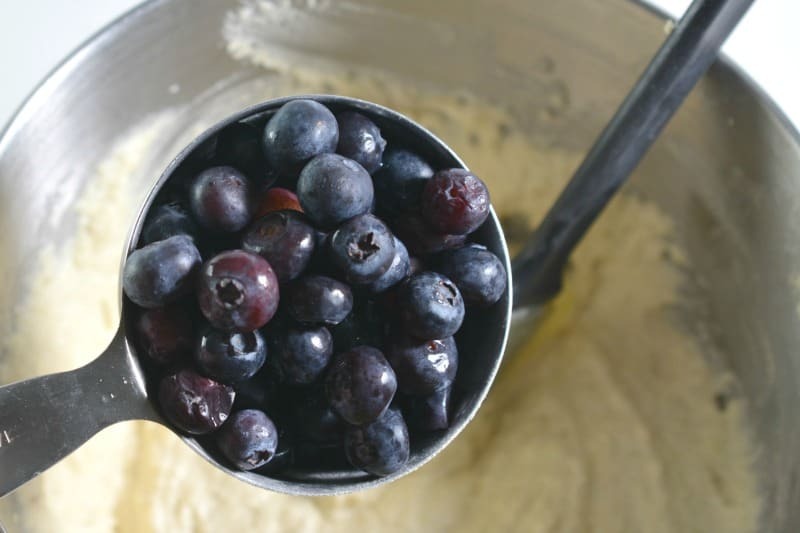 In a separate mixing bowl, combine the almond flour, baking powder, erythritol and lemon zest. Mix to combine. Add the dry ingredients to the wet ingredients, and beat just until combined. 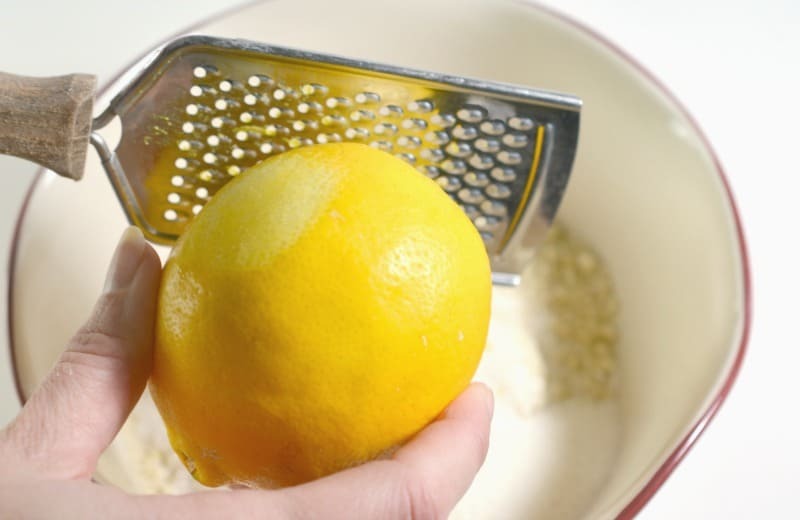 Pour in 1 tbsp of lemon juice and stir. Pour the mixture into a greased loaf pan, and bake for 30-45 minutes until a knife inserted into the center of the bread comes out clean. 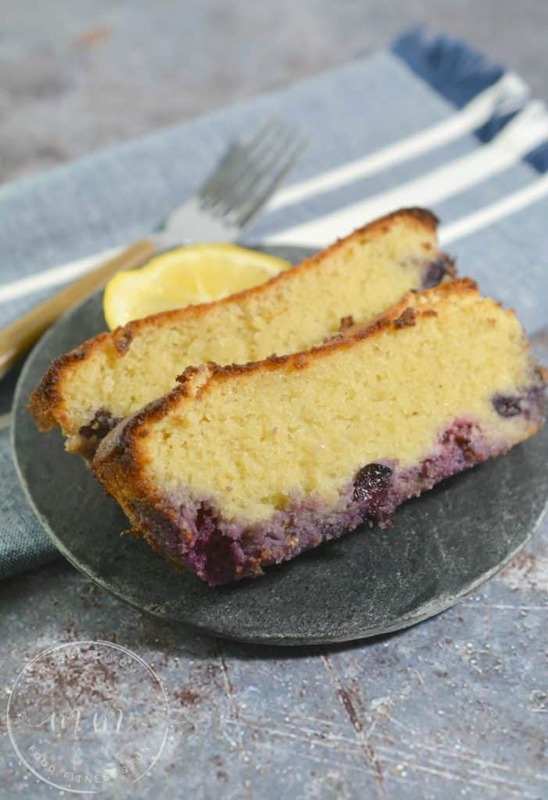 Let cool, slice and serve immediately or store in the fridge in an airtight container. 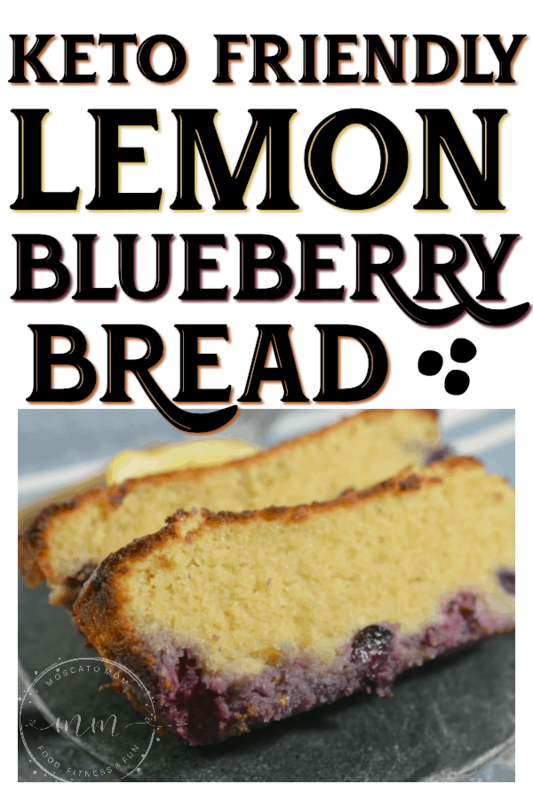 Each serving of Keto Lemon Blueberry Bread has 5 net carbs, 8 total carbs, 3 g fiber, 25 g fat, 6 g protein, and 268 calories. This gives it an A rating.